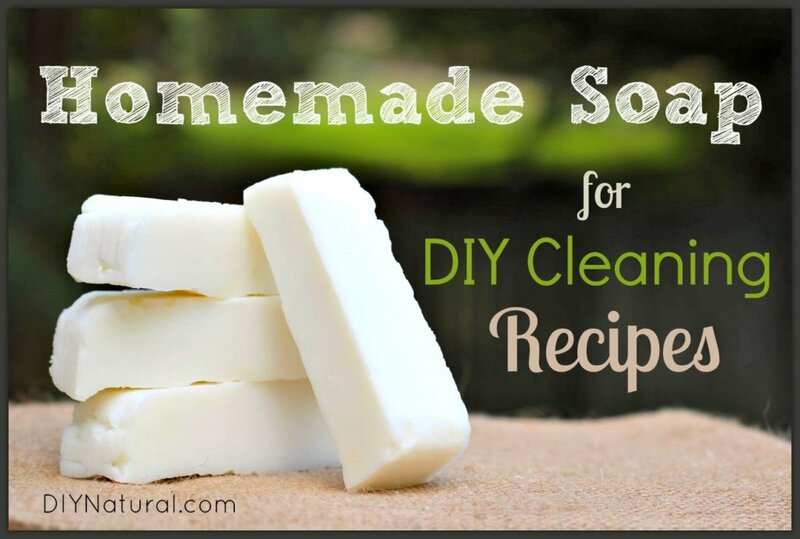 This is basic soap recipe that can be use in MANY other DIY cleaning recipes. 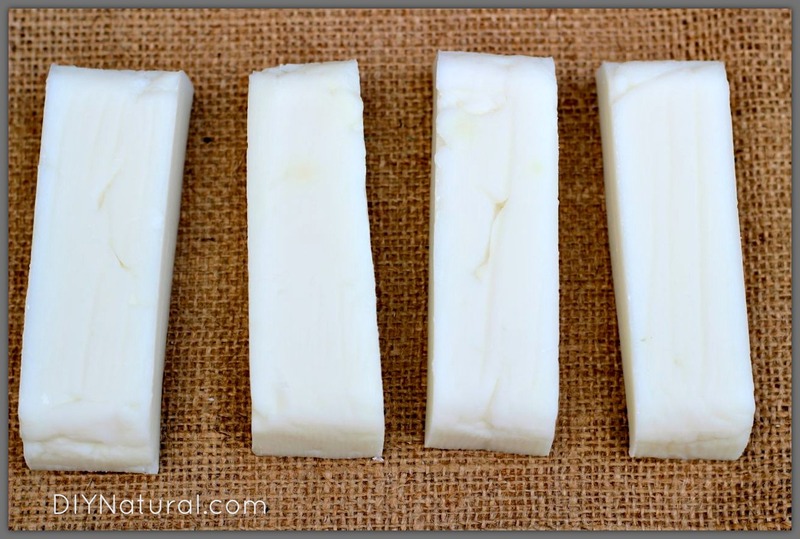 This useful, homemade soap is easy to make and great for general cleaning. Since publishing our homemade laundry detergent article back in 2009, we’ve had several readers comment on the types of bar soap we recommend in our recipe. Why do we recommend certain brands? Because not all soap is made for laundry. Most soap has been formulated to create an extra moisturizing bar that has a low pH. These soaps are great for our skin, but not for lifting stains in the laundry. A good laundry bar will be very hard, effective at cutting grease, and will produce a fabulous lather. So in true DIY fashion, we’re finally bringing you a recipe for a far of homemade soap that is not only perfect for using in your laundry, but also in most other DIY cleaning recipes that call for grated bar soap. (Hooray! This means you don’t have to purchase natural bars of soap for $4/piece anymore!) This homemade soap is also free of coloring and fragrance. If you’ve never made homemade soap before, don’t allow this section on safety to scare you off. Just keep in mind that in order to enjoy this project you’ll have to take some precautions so nobody gets hurt. 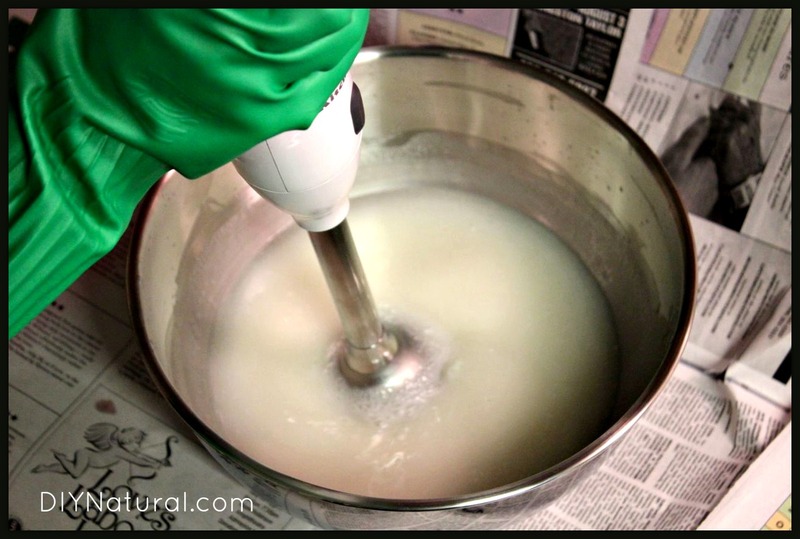 Lye is the most important ingredient in soap making. However, it’s a fairly misunderstood ingredient. While your soap is made with lye, it does not actually contain any lye when finished. A reaction called saponification takes place during soap making – this is the lye reacting with the fats in your recipe to create soap and glycerin. Lye can be nasty if not handled properly, but if you can follow a few safety precautions you’ll be making wonderful homemade soap without any worries. Because you’ll be handling lye (which can burn skin and damage certain surfaces), be sure you don’t have kids or animals underfoot while you’re making soap. Some precision and concentration are required, so make arrangements to be alone for a while during this project. 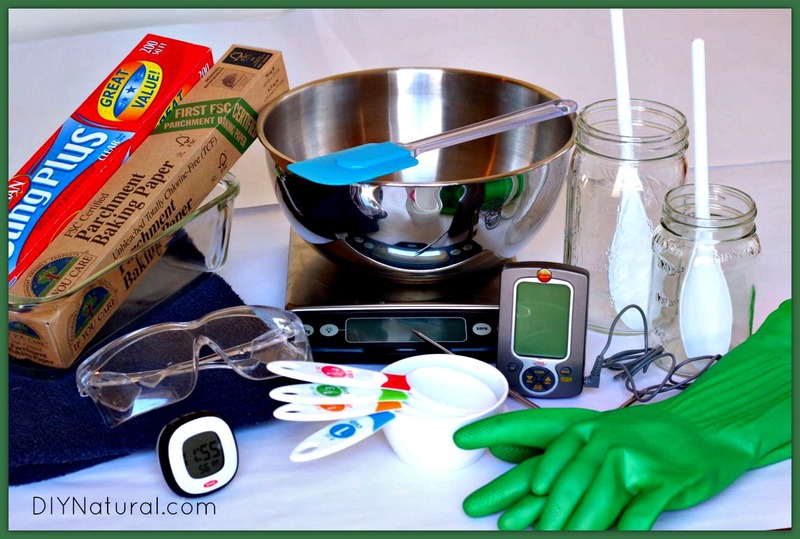 Because lye is very harsh, you’ll want to use safety equipment like goggles and gloves. I always wear long sleeves and long pants while making soap to reduce the amount of exposed skin. Set up your equipment in a well-ventilated area and cover work surfaces with newspaper in case lye splashes or spills. If splashes or spills do occur, lye can be neutralized with white vinegar. Keep a spray bottle or jug full of vinegar nearby for this purpose. If lye comes into contact with your skin, you’ll notice a strong itching, followed by a burning sensation. If you notice this itching, immediately rinse the affected area with vinegar, then rinse with running water. You may also want to fill a sink with several inches of vinegar before beginning – you can dip any utensils or supplies that came into contact with lye into this sink of vinegar. Have everything laid out and ready to go before beginning this project. You’ll need to be prepared to move quickly for some of the steps. 1. Cover your work surfaces with newspaper or another protective layer in case splashing occurs. Prepare a spray bottle of vinegar and/or sink full of vinegar. Put on gloves and glasses. Prepare loaf pan by lining it with parchment paper, then set aside. 3. Place pint jar or glass measuring cup on kitchen scale, tare the scale, and measure out 16 oz. of coconut oil. Place jar of coconut oil into a pan filled with a few inches of water, and heat on the stove until it reaches 95° – 105°. Use your digital thermometer to test the heat of the lye-water and the coconut oil, wiping the thermometer off thoroughly before transferring between mixtures. 5. After 5 minutes, you can begin blending with a stick blender if you like, or just continue stirring with a spatula. Using a stick blender will make things move along very quickly. The goal is to get the mixture to “trace.” This means you’ll be able to draw a line in your mixture with a spatula, and the line will remain. If the line disappears quickly, you have not achieved “trace.” (Watch this video to see what trace looks like.) It will be a little pudding-like when it gets to trace. 6. Once you see trace, you can pour your homemade soap mixture into your prepared loaf pan, spreading with a spatula to smooth it out. Gently press plastic wrap on the surface of your soap to prevent soda ash (a harmless powdery white substance) from forming while the soap cures. While making homemade soap, it’s nice to have a sink full of vinegar. Anything that lye or lye-water comes in contact with should be dipped in the vinegar to neutralize before washing in soapy water. For the rest of the materials that have the soap mixture on them, there is a much easier way to take care of them. I carefully place everything that has soap residue on it in a garbage bag, tie it up, and leave it for about three days. The soap on your items will be hardened at this time and will suds/clean your items very well. Just wash in hot water! However, you will want to use gloves when washing your equipment because the curing process has not fully taken place and the soap remaining on it is still very caustic. Once your bars are fully cured you can begin using them. This particular bar can be used in any DIY cleaning recipe that calls for grated soap. This is the perfect homemade soap to use in your homemade laundry detergent! You’ll need about 4-5 ounces of this soap, grated. These little bars are the ultimate stain stick. I like to keep one in a bowl in the laundry room so I can treat stains while the washer is filling up. I just wet a corner of the bar with the water in the washer, rub the wet bar on stains, rub the fabric together to further work the soap in, and then throw the garment in the wash when it looks like the stain has lifted. You only need 1 tablespoon of this grated soap to make a homemade dish soap. Alternatively, you can just put a bar of this soap in the kitchen sink before filling it up with water. Remove the bar from the water when you have enough suds. You’ll have a sink full of sudsy water to hand wash your dishes with, without any extra effort! If you want a ready-made soft-scrub cleanser, simply grate about ½ cup of this homemade soap and combine it with 1 cup of baking soda. Transfer to a jar with a shaker-top (like an old grated parmesan cheese container), and sprinkle on surfaces before cleaning. Use a wet sponge to work this cleanser into surfaces to create a sudsy soft scrub. *Keep in mind this homemade soap is not recommended for use in DIY personal care recipes or for everyday use on hands or body. Due to the high pH of this soap it could be very drying to the skin. However, it may be the perfect soap for a poison ivy treatment, when drying sores up is the goal! 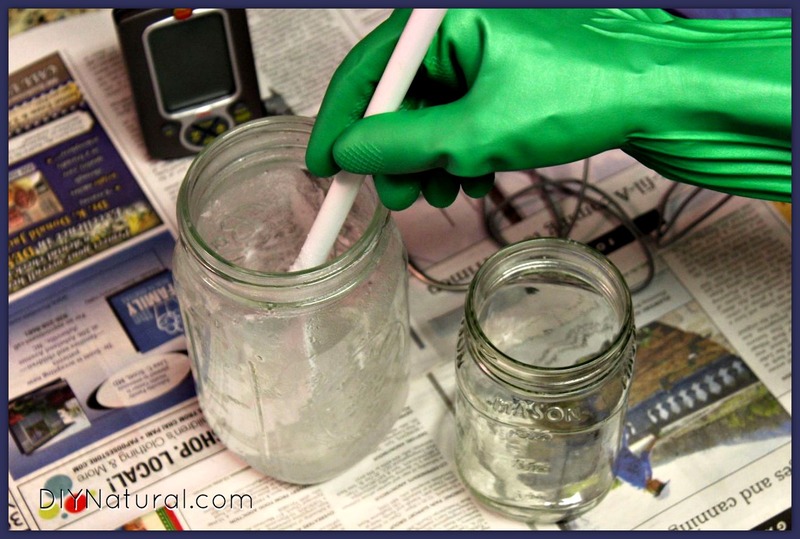 Want more recipes for cleaning your house naturally without chemicals? Our book, DIY Natural Household Cleaners, has 60+ recipes so you can keep your house clean and green. 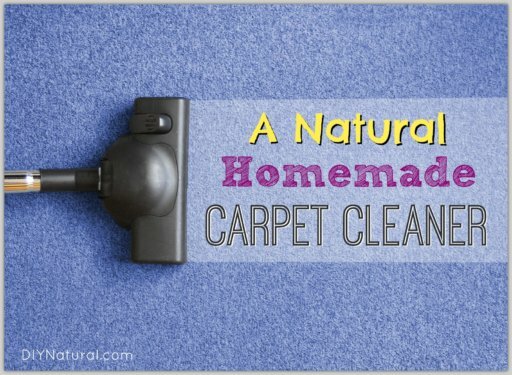 Learn how to make all your own cleaners – everything from floor cleaners to air fresheners to homemade dryer sheets! Click here to read more and get your copy now! Is there a reason one wouldn’t use these for washing the body? Too harsh? Drying? Any idea how one would convert this recipe to a skin-friendly version? Thanks so much for sharing this! I’ve wanted to start making my own laundry supplies for a long time- hopefully it goes well. Wow, thanks so much for this! This will come in so handy. You specify that the scales must show ounces. If I usually work in grams, is there any reason why I shouldn’t convert the weights to grams and use scales that display only grams? May I assume that the temperatures given are in degrees Farenheit? You can convert to grams and Celsius. Is it ok to make this soap using hot process? Thank you so much for all the information on your site! Did you use a 0% lye discount? So far, I made your laundry detergent recipe using my own soap scraps (I typically use 5% discount) and it worked. However, I would be interested in making a laundry soap as gift for my mom, so I would need to know the discount, in order to adjust quantities. Thank you. You can make olive oil soap, but the measurements would be completely different. An olive oil bar also won’t make a hard bar for cleaning. 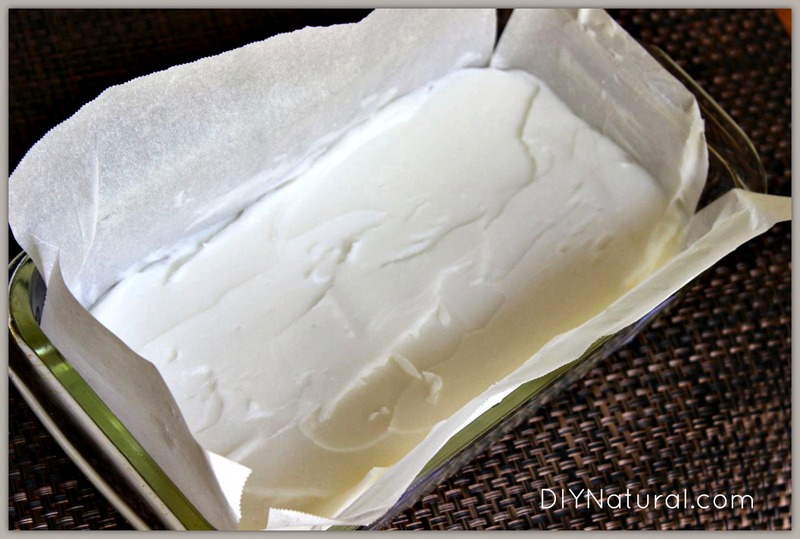 I use a lard/coconut oil mix with no superfatting and add tea tree oil for my laundry soap bars. 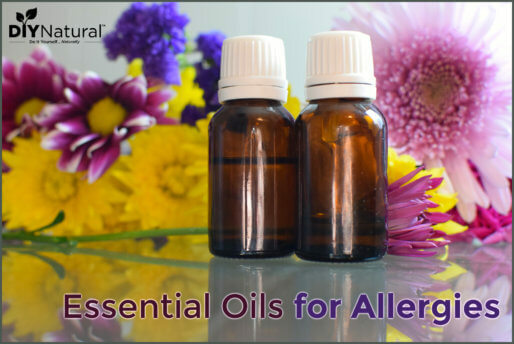 Makes a VERY HARD white bar and the tea tree leaves a fresh scent as well has having the antifungal/antiviral properties for the washer. Best change our family ever made.